Dèesse Magazine: Switch up your hair for fall with Instant Clip-In Bangs ! Under $30 !!!! Switch up your hair for fall with Instant Clip-In Bangs ! Under $30 !!!! It's officially the first day of Fall , and what better way to welcome the season by re-inventing your current beauty look. 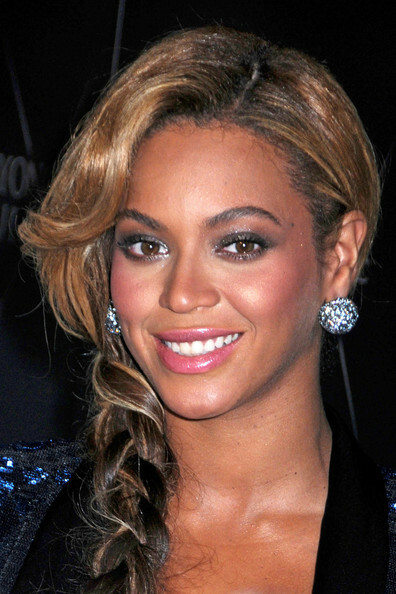 Hairstyle chameleons like Beyonce Knowles and Kim Kardashian know the importance of change without making the permanent commitment that may have to take "ages" to grow out. This is where the use of lacefront wigs, extensions and my current obsession "Clip-In" Bangs come into the picture. 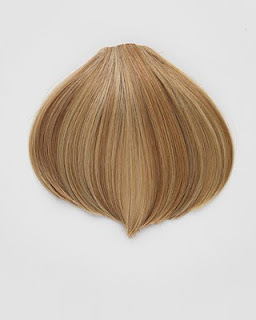 My current favorites are PoP's Dancing with the Stars Bango Tango Extensions (pictured, above $22: folica.com) which are a blunt straight across bang which gives the illusion of a "freshly cut bang" that can take your hair look from Average to Haute in seconds. 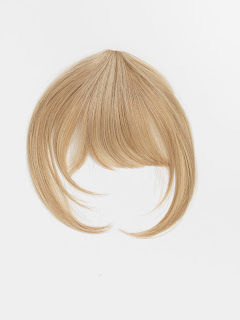 Obviously, you would get these bangs in a color which matches your hair shade ( you can go to hairuwear.com for a color chart). This piece strongly resembles the pieces worn by Kim Kardashian herself when sporting the "bangs look". Before: Kim, sans bangs sporting a lovely retro-waves hairstyle. Another clip-in bang option is the Hairdo Clip-In Bangs (pictured, below $29: QVC.com) which are made with the Tru2Life® synthetic fiber that are ready to cut, curl, and wear any way you want. Get in on the bang-fever fun for fall by going to folica.com for the Dancing With the Stars Collection Bango Tango bangs, and QVC.com for the Hairdo Clip-In Bangs !!! I will be awarding five readers with Clip - Ins by random drawing . Make a comment under this posting stating who's bangs you like better - Beyonce's or Kim's and how would you wear your clip-ins - given you're chosen. email me your name ,address, color shade ( you can find this at hairuwear.com) and confirmation of entering the contest. The winners will be announced a week from today September 30, 2011 here on the blog. GREAT GREAT GREAT - I ENTERED! love the look on KimKardashian I want those bangs!